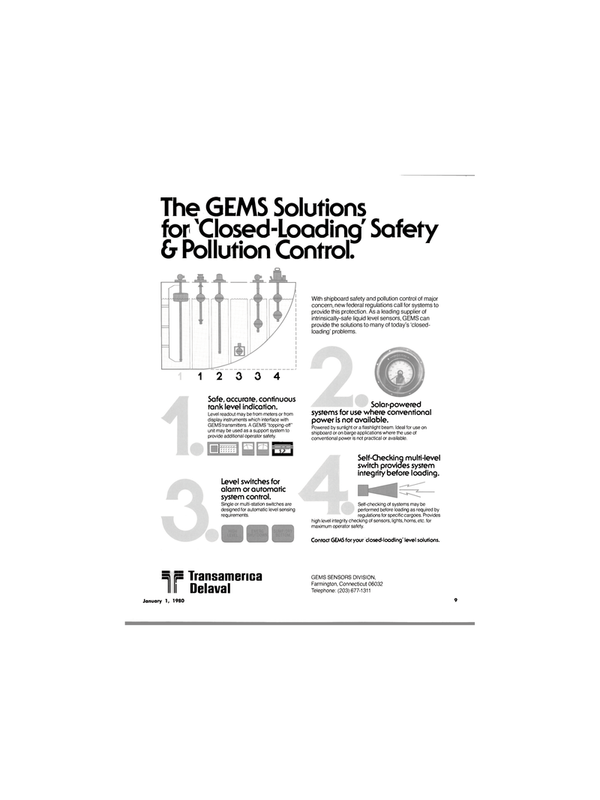 The GEMS Solutions for 'Closed-Loading' Safety 6 Pollution Control. Safe, accurate, continuous tank level indication. Level switches for alarm or automatic system control. Single or multi-station switches are designed for automatic level sensing requirements. Self-Checking multi-level switch provides system integrity before loading. Self-checking of systems may be performed before loading as required by regulations for specific cargoes. Provides high level integrity checking of sensors, lights, horns, etc. for maximum operator safety. Contact GEMS for your closed-loading' level solutions. Solar-powered systems for use where conventional power is not available.